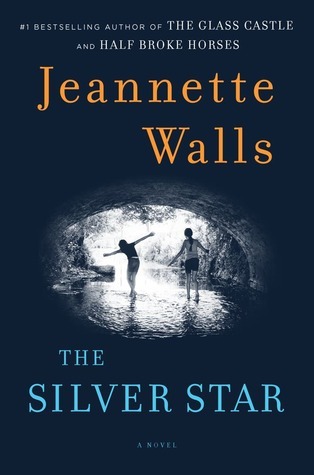 The Silver Star by Jeannette Walls, Scribner, 304 pp. Charlotte Holladay ran away from her life as a Southern belle, daughter of the wealthy family living in their former plantation in a small town in Virginia. She married and had children, but left town after her husband’s death. She made a new life for herself as a wanderer, folk singer, drug user and wanderer in California in the 1960’s. Now she is a single mom of two daughters, ages 12 and 15, when life gets to be too much. She has left them before, but never for very long, and this time the police take notice. The two girls, Liz and Bean, take a bus to the family home in Virginia, where they have not been since they were very young. They find Charlotte’s brother as a recluse in the family home, and Bean (the younger) begins to discover the history of her father and his family. Eventually Charlotte returns, but the girls have made a new life in Byler. They begin working for Jerry Maddox, who is a bully in every way. The reader can immediately see where the plot is headed, as Jerry’s behavior eventually harms the girls and causes a catastrophic upset in the system of this Southern town, and of Liz and Bean’s lives. I checked out this book because Walls’ memoir The Glass Castle was outstanding. It was deep and emotional and detailed and beautiful. This book lacked all of those things. Liz and Bean and Charlotte’s relationships with each other were generally uninspired, and the plot itself was predictable and unsurprising. While it wasn’t poorly written, the writing did not speak with any great art or beauty, and the characters failed to rise above stereotypes. Those of you who read this blog regularly know that I rarely give poor reviews–largely because I don’t read things I don’t enjoy. However, I kept thinking that this one would get better, based on my experience of The Glass Castle. It never did. Don’t waste your time on this one. At best, it gets a “meh.” Hopefully Walls will return to her former ways in her next work. 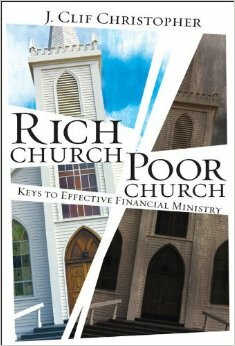 Rich Church, Poor Church: Keys to Effective Financial Ministry by J. Clif Christopher. Nashville, TN: Abingdon Press, 2012. 108 pp. This review was originally published at the Center for Faith and Giving, who provided this book to me for review and gave permission to share here as well. If you want more strategies to become a Rich Church, I recommend their work and resources highly. They are a ministry of the Christian Church (Disciples of Christ), a sister denomination to my own United Church of Christ. We’ve probably all heard a convicting sermon—a message in which we recognize for ourselves how our lives have strayed from God and feel compelled to turn ourselves around, seek forgiveness, and try again. J. Clif Christopher’s Rich Church, Poor Church was a convicting book for me. With every chapter, I could catalog the ways in which my congregation has been following the bad habits of a “poor church.” However, like any good convicting sermon, Christopher’s book did not abandon me to my despair—he points the way to a future of redemption, with clear, practical, action and attitude oriented measures for churches to move from scarcity to abundance. Rich Church, Poor Church has nothing to do with the economic status of the people who worship in the pews. What Christopher means by a “poor church” is one that is “always behind financially and searching for money, as compared to what I witness in churches that are not always struggling to find resources for mission and ministry (Rich Church).” (ix) The book catalogs the different behaviors and practices of these kinds of communities. The chapters continue with discussions about debt management, communication, asking for support, being thankful, sharing information about giving, and more. Each chapter begins with a simple table, listing the practices of Rich Churches on one side and Poor Churches on the other. The chapters conclude with a set of questions for discussion, making this book ideal for group conversation. The book is short and easy to read, and would be a great tool in multiple settings of the church. I’m planning to order copies for my leadership team, because we need to hear this convicting message, stop pursuing practices that are only making the problems worse, and be moved to change our ways and follow more faithfully, so that we can stop feeling like a Poor Church and start being a Rich Church. The Advent Conspiracy: Can Christmas Still Change the World? by Rick McKinley, Chris Seay and Greg Holder. Zondervan, 2009, 151 pp. I’ll start with a confession of prejudice: Zondervan makes me nervous. They publish mostly materials from a more conservative theological position, and I often find their titles to be interesting at first, but disappointing or downright offensive upon closer examination. If Zondervan makes you nervous too, fear not. The Advent Conspiracy is the real deal. While you won’t find a progressive theology or inclusive language, you will find solid theology and biblical interpretation, alongside a commitment to overcoming consumerism and responding with compassion to the crisis of poverty. 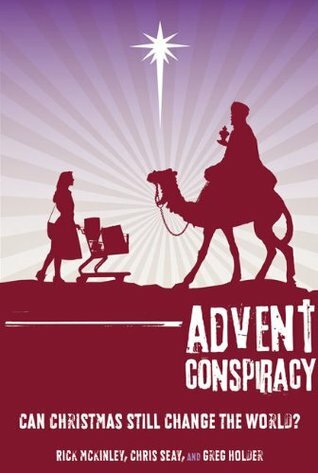 The Advent Conspiracy starts in a familiar place: the feeling that consumerism has robbed Christmas of its sacred purpose. However, rather than just passionately insisting that we remember “Jesus is the reason for the season,” the authors address the real pressures we all face around secular Christmas traditions, and invite us to practical, challenging steps to reshaping our experience of the season. They do not suggest we can easily accommodate Jesus in our otherwise secular celebrations, and they refuse to make peace with consumerism. The chapter on Give More encourages us not just to give to charity, but to give better and more thoughtfully when we give gifts to those we love. They discuss giving relationally–gifts that are costly (not necessarily in dollars), honor the recipient and relationship. No more cheap junk to fulfill an obligation. Finally, the Love All section turns toward giving for the poor. It encourages all Christians to honor the God who came to live among the poor by showing a real and lasting commitment to serving the poor in the world today, especially highlighting a water project in which the authors are deeply invested. The book has an accompanying DVD series, and a lesson plan for each chapter at the back. We offered it as a series at my church, but it was hastily organized and lightly attended. I would like to do it again, and do it better. This is a great resource, and I encourage more churches to make use of it. 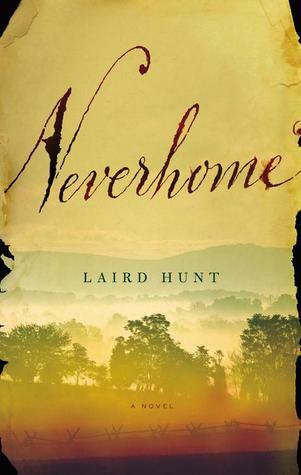 Neverhome, by Laird Hunt. New York: Little, Brown and Company, 2014, 246 pp. This book was so much more, so much better than I expected. I was not familiar with author or title, but the jacket description about a woman dressing as a man to fight in the Civil War drew my attention. It seemed like the kind of character and story that I would enjoy, but I did not expect the depth and beauty I discovered here. What a gift! Laird Hunt writes with a style reminiscent of Faulkner (one of my all-time favorites), but with a story that reminds me of O Brother, Where Art Thou?, a surreal Odyssey journey with odd characters and mysterious encounters of the Civil War era, which seem both real and unreal, recognizable and hazy, familiar and impossible alike. This is not a book about a woman dressing up in men’s clothing. This is a story about a person who lives beyond the expectation of her birth gender and its cultural norms, who finds herself at home both in uniform and in a dress and uses both to her advantage. Both dress and uniform betray her equally, as she betrays them. Ash is driven by her own restlessness and fearlessness, which mask a grief and longing arising from her past. As the title implies, Ash was never able to be at home as Constance, and she will never be at home as Ash, either. This one of the best books I’ve read all year, and it will haunt me for a long time. I could not put it down. Hunt’s writing delivered me directly into Ash’s world, and Ash’s narrative felt like something driven. The story contains a series of improbable, even impossible events, yet as you read those events seem like the only reasonable thing that could transpire. Neverhome is a deeply compelling book, in every way. I will be seeking out more from Laird Hunt. 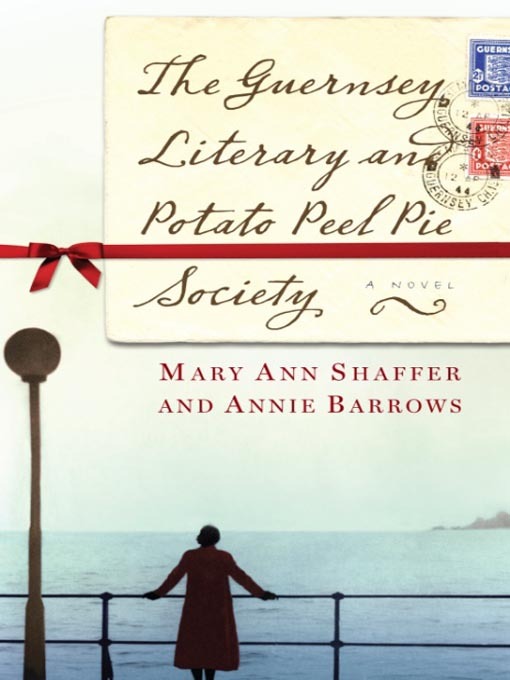 The Guernsey Literary and Potato Peel Pie Society, by Mary Ann Shaffer and Annie Barrows, New York: The Dial Press, 2008, 277 pp. I long ago lost count of all the people who told me I should read this book. It has been wildly popular among my friends and reading buddies. I knew I would enjoy the story, but I’m just not a fan of epistolary novels. The letter-writing pattern just wears on me after awhile, so I put off reading this one for only that reason. In the end, the story was well worth the effort to weed through my dislike of the genre. The story takes place shortly after World War II on Guernsey Island, one of the islands in the English Channel that was occupied by the Germans and completely cut off from all outside contact for most of the war. During that time, a group of islanders formed the Guernsey Literary and Potato Peel Pie Society, a gathering for the discussion of books, poetry and classical literature. The group bonds together for their mental and emotional survival. The epistles form when a member of the group writes to a London author who has previously owned a copy of his favorite book. The author, Juliet, becomes intrigued by their story and begins correspondence with the group. Eventually, she goes to visit, and the letters turn to her reports of the stories of the islanders and their community. The two featured women in the story are the chief letter-writer/narrator, Juliet, who undergoes her own healing and transformation as a result of her interaction with the Guernsey community; and Elizabeth, the founder of the Literary Society and its chief spirit and architect. Elizabeth was taken captive by the Germans during the war, and has not returned home. The Society members are raising her young daughter collectively. The story unpacks not only the history and impact of the Society, but Elizabeth’s powerful impact, her story and her daughter’s future. It is a charming story, with moving characters. It feels very British, and the characters in my mind bore a strong resemblance to the community in The Vicar of Dibley, quirky yet fiercely kind to one another. I did not find them individually powerful and memorable, but the spirit of them as a collective body was. One beautiful glimpse that struck me powerfully came in a letter from Amelia Maughery, a Guernsey woman who had lost her son in the war. The writing is beautiful, the characters charming, the story and setting fascinating. A good read.